Former Wyoming Senator, Alan Simpson is featured in The Daily Caller with a new piece explaining why GOP state leaders should support a constitutional amendment to overturn Citizens United. On January 21, 2010, in Citizens United v. Federal Election Commission, the U.S. Supreme Court unleashed a veritable flood of money into our political system by ruling that, contrary to longstanding precedent, unions and corporations may spend unlimited amounts of money to promote or defeat candidates. The ruling also led to the rise of SuperPACs in our elections and unlimited spending from wealthy individuals. A recent assessment shows how substantial the impact of the ruling has been on our current presidential election, with fewer than 400 families being responsible for almost half the money raised so far in the 2016 presidential campaign. 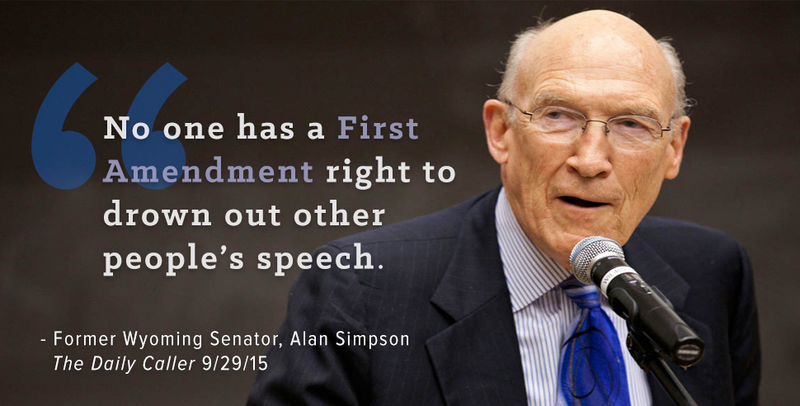 No one has a First Amendment right to drown out other people’s speech.